The group was started in 1932 by Lewis Edmund (Teddy) Farrah. Teddy was a local man, although he was born in Hebden Bridge in 1903, he lived and worked in Sowerby Bridge. He was a member at Tuel Lane Methodist Church (now called St Paul’s) from a very early age. He was very active within the church as a Sunday School Teacher, and also later as Superintendent. 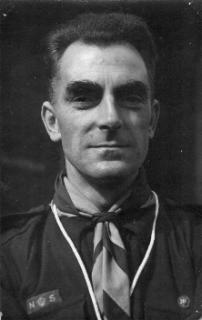 Teddy not only founded the Troop, but was also its Scoutmaster and Group Scout Leader for 25 years. 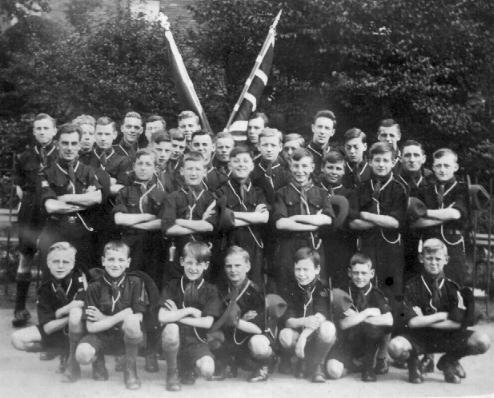 The group flourished and by the time this photograph was taken nearly a year later, in 1933, the group had over 30 members. The photograph was taken at “The Rec” – The Recreation Ground on Clay Street, off Tuel Lane. 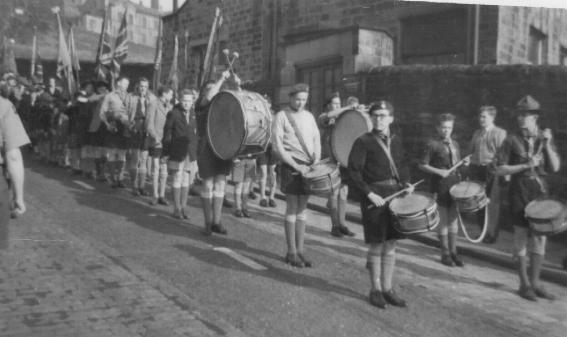 It was from here on the 1st Sunday of each month the Scouts would parade down to Church, lead by a band. This practice carried on for many years; it was only stopped around 10 years ago when it became dangerous, as car drivers weren’t prepared to wait a few minutes, and tried to push past. We still have parades on special events like St George’s Day and the annual anniversary, but with road closures and a police presence. 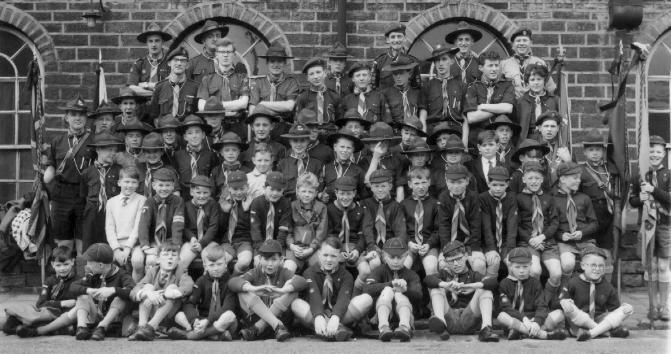 The 1952 Official Handbook of the Halifax Boy Scouts Local Association of which the old Sowerby District was a part.